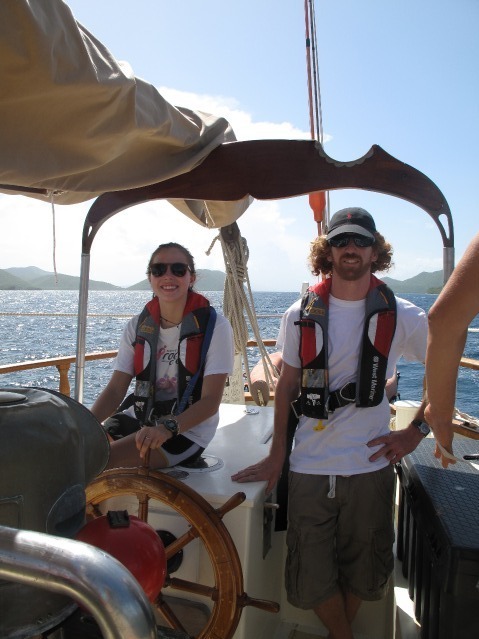 Yesterday saw the full crew of S/Y Ocean Star arrive safely into Soper’s Hole, Tortola. 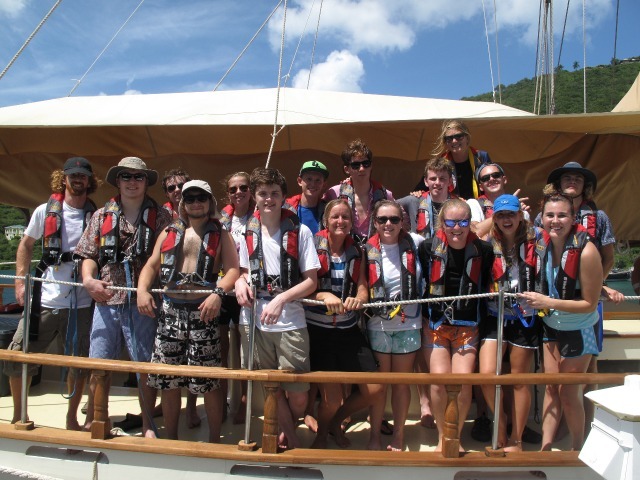 Excitement was in the air as everyone met the people with whom they are about to embark on a great Caribbean adventure. No sooner were bags unpacked than people were jumping into the water for a cool-down as the day was clear and sunny. The fantastic weather continued into the evening which inspired many of the shipmates to rig hammocks on deck in a criss cross fashion so that they could all sleep under the stars. Up early with a fantastic sunrise and everyone was keen to start the day. 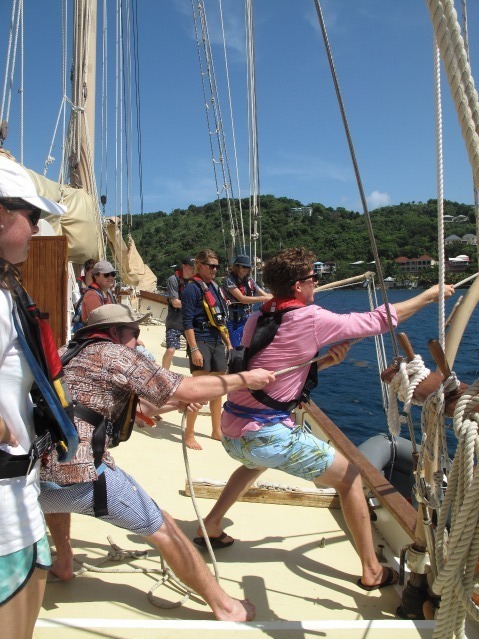 Swim tests were completed, dive gear was allocated and the schooner was made ready for sea. After lunch we slipped the lines and set sail. A small diversion was made to Road Town to pick up some lost airline baggage. Ocean Star held position outside the harbor whilst a shore party was launched to collect the bags on Erving, our trusty 50hp rib. 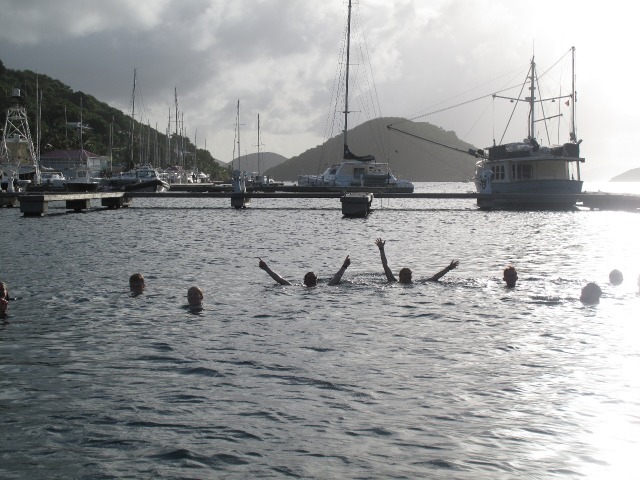 Everything went smoothly and we were on our mooring in Great Harbour, Peter Island by 1630. A great start and I’m sure it will keep getting better.